Vakulamata Temple Groundbreaking on March 5, 2017 near Tirupati. Swami Paripoornananda and Sri Ghazal Srinivas to take the to Complete the Temple. 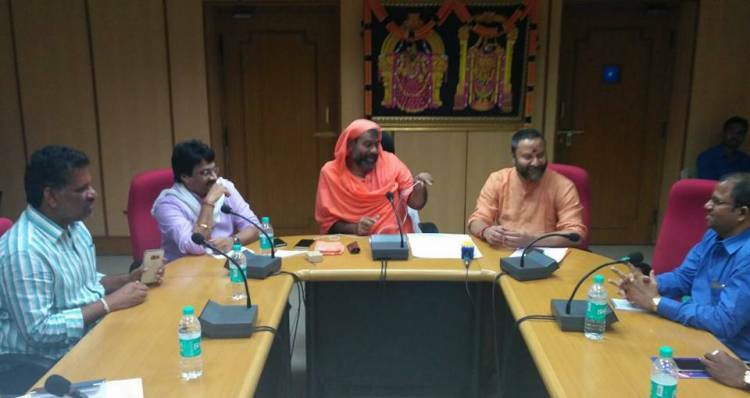 Sri Swami Paripoornananda and Ghazal Srinivas went and met with TTD officials on February 1, 2017 along with Sri Bhanu Prakash Reddy. Member of TTD Board. 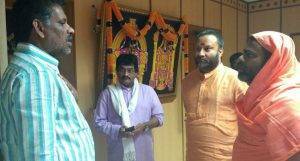 They discussed about the plans to construct Vakula Mata Temple as directed by High Court in November 2016 clearing the way for further action. Engineers prepared the plans as per Agama Sastras and Shilpa Sastras. They were given the major responsibility to lead this project. 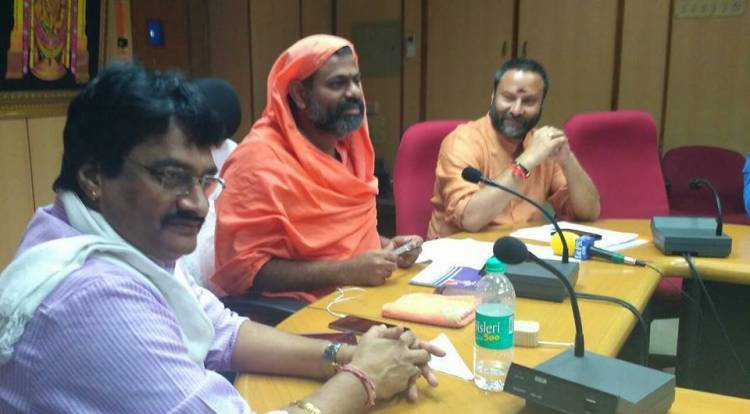 TTD Board has given the major responsibility to Sri Swami Paripoornananda and Ghazal Srinivas build building Vakula Mata Temple on a hill in Perur Village which is about 5-6 kilometers from Tirupati. As you know GHHF has taken up this task of raising the Hindu awareness and advocated the importance of building Vakula Mata Temple. It is through the support of all members of GHHF, our active involvement in this movement over the years has paid off. TTD approved 200 crore rupees to build the Temple and build fence around the hill by allocating 50 acres of land for the development. Many organizations and individuals have spent countless hours to impress upon TTD to build Vakula Mata Temple. It took many years to reach this stage. We salute each and every one who made the difference in getting Vakula Mata Temple built. Hindu dharma activists said the ancient temple is facing threat from mining contractors, who have already flattened nearly 60 per cent of the hill threatening the safety of the 300-year-old temple. "In spite of protests from the people the contractors carried out mining activities at will. The entire hilly area is being dug up to extract stone blocks. If the quarrying activity is not stopped, there is no way one can reach the temple which is in a dilapidated condition," D Narendra of temple protection samithi rued. 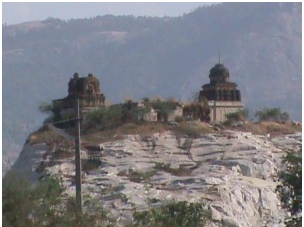 Sri Vakulamata Temple is in shambles, and is in dilapidated condition. It is shocking, appalling, horrifying and numbing to witness the Temple in such a dilapidated condition. TTD officials should be charged with dereliction of their duties as the custodians of the sacred Temple. Neglecting to protect and restore the historical Temple by TTD and State government is a crime against the sentiments of all Hindus. This is an unpardonable, unforgivable and reprehensible excuse. All the officers in charge of the Endowment Department and TTD should be personally and professionally liable for prosecution for dereliction of their duties. Sri Ghazal Srinivas demanded that we rebuild Vakulamata Temple immediately. Illegal mining should be stopped immediately. Otherwise, crores of people will assemble to start the agitation to make sure the government will take necessary steps to restore the glory of Vakulamata Temple. Through the efforts of Swami Paripoornananda Swami and Dr. Ghazal Srinivas, Sri R V V Krishna Rao of Chittur District went to High Court regarding the neglect of Vakulamata Temple and requesting the HC to direct the government (TTD) to build Vakulamata Temple. Justice L. Narasimha Reddy made a startling, appropriate and proper decision by demanding the government to construct Vakulamata Temple immediately. He admonished the government for failing to even counter the Stay order brought by local who were doing illegal mining, demanded that Vakula Mata Temple be protected, and stop the illegal mining. High Court Lawyer, Sri K. Srinivasa Murthy (some of you may remember, he was the one who helped me to get stay order for GO 29 in 2006 – the beginning of our movement through GHHF) argued the case saying that it is sacred to all Hindus, and it is unfortunate to neglect the mother of Lord Venkateswara. Unless the illegal mining is stopped the existing dilapidated Vakulamata Temple will collapse, the Lawyer argued. Following the verdict by High Court, TTD Chairman Sri Bapi Raju is going to have a Urgent Meeting within the next 24 hours and make a decision and inform the High Court in few days. We are all indebted to Swami Paripoornananda, Ghazal Srinivas,and the team for their dedicated, passionate and continued efforts to keep the flame burning. Representation made to TTD EO. The demand to renovate the dilapidated Vakulamatha temple at Peruru on the city outskirts is growing louder. Swami Sri Paripoornananda Saraswati of Sri Peetam (Kakinada) and ‘Save Temples Project’ brand ambassador and singer ‘Ghazal’ Srinivas made a representation to the Tirumala Tirupati Devasthanams (TTD) Executive Officer M.G. Gopal to this effect here on Saturday. They explained the importance of reconstructing the ruined temple of Vakulamatha, the foster mother of Lord Venkateswara. Speaking to the media later, the seer said the temple was under the grip of the mining mafia that had thoroughly defaced the shrine. 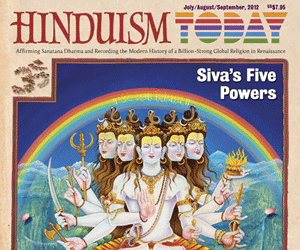 “If the TTD has any problems, devotees are too eager to build the temple all by themselves,” he said. 6. November 17, 2016: High directed TTD build Vakula Mata Temple. The Hyderabad High Court on Wednesday upheld the decision of Tirumala Tirupati Devasthanam (TTD) to renovate the Vakulamata temple at Peruru in Pathakalva village on Chittoor-Tirupati bypass road. The court directed the TTD to complete the works as contemplated in the 2009 resolution. Vakulamata is revered as the mother of Lord Venkateswara and incarnation of Yashoda, foster mother of Lord Krishna. Tirupati: The devotee’s long cherished wish of the reconstruction of the ruined Vakulamata temple at Perur near here had at last going to be fulfilled with the Tirumala Tirupati Devasthanams (TTD) resolved to take up construction of steps and fencing to safeguard the dilapidated temple. 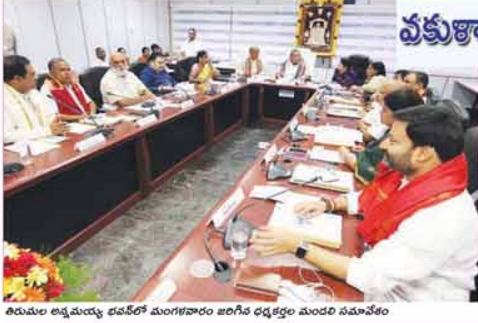 The TTD Trust Board which met in Tirumala on Tuesday decided to prepare the estimation for the two works. Disclosing the details of the meet later to media, TTD Trust Board chairman Ch Krishnamurthy said as the two works were approved by the board even before the High Court of Hyderabad recently giving green signal to TTD to take up the reconstruction of the dilapidated temple, the TTD will first take up these works before going ahead with the reconstruction in the next stage. Accordingly, the Engineering department was directed to prepare the estimation for the construction of the steps to shrine of Goddess Vakulamata, mother of Lord Venkateswara, atop a hillock in Perur village, he explained. 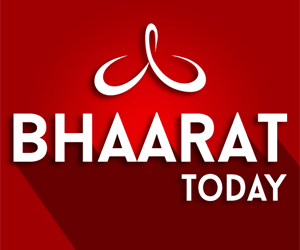 It may be recalled that various Hindu outfits, Swamijis like Sri Peetham pontiff Paripoornananda Swamy and devotees vociferously seeking the reconstruction of the temple, organized protests and approached TTD several times to press for the reconstruction which was at last realised with the TTD decision.